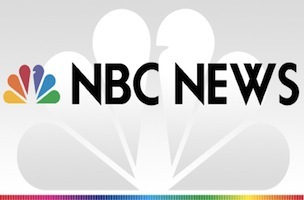 On Thursday night, NBC News announced that a freelance cameraman that it hired to be a second cameraman for the network’s chief medical editor Dr. Nancy Snyderman reporting in Monrovia, Liberia, was diagnosed with Ebola. The 33-year-old Ashoka Mukpo quarantined himself Wednesday after taking his temperature and recording a slight fever. Twelve hours after testing Thursday at Medecins Sans Frontieres, his result came back positive for the virus. 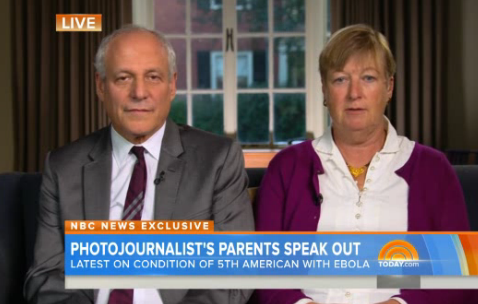 Mukpo’s parents, Dr. Mitchell Levy and Diane Mukpo, joined “TODAY’s” Tamron Hall Friday morning to discuss telephone conversations with their son since diagnosis as he prepares to return to the United States for care.